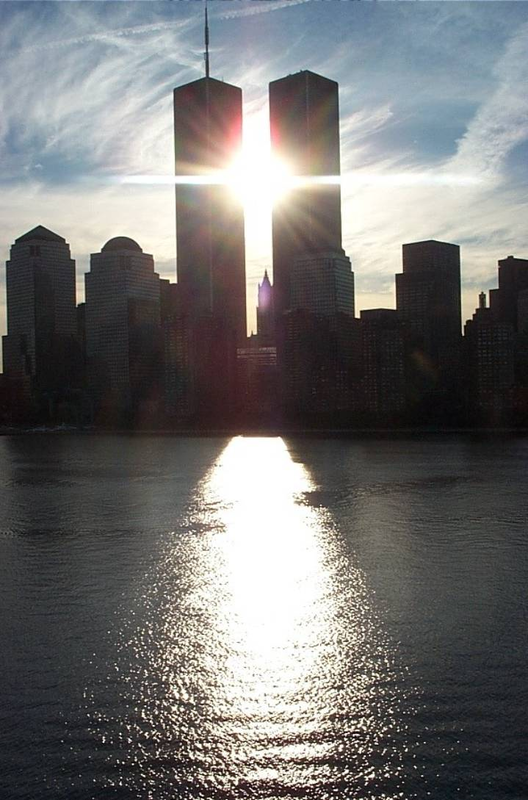 On the 11th anniversary of 9/11, I join all Americans in reflecting upon the events of 9/11/01. That day, as I was preparing for a worship service that night I wrote my “I Reckon” for the First UMC Farmersville newsletter. As I remember that day, as programs will replay events of that day, I am experiencing echoes of the thoughts and feelings I had of that and the following days. There is a numbness that comes with witnessing dramatic events. This morning I awoke to the radio broadcasting a breaking story that an airplane had crashed into the World Trade Center in New York City. I immediately turned on the TV and while watching the horrible pictures of smoke billowing from one of the towers, right before my eyes a plane flew into the picture and crashed into the other building in a fiery explosion. “OH!” was all I could say. I could not believe my eyes. I still don’t believe it. The irony is that it was a beautiful day outside. Now I am listening, and the entire building has collapsed, it appears to be gone. Now Washington is attacked, more injured and damage. The numbness has returned even as I write this. This seems to be a movie, but it is real and it is horrible. Thousands, perhaps tens of thousands of people killed and injured, lives lost and forever changed. Not since 1941 have we as a nation experienced such surprise and loss. Another day has passed. We have watched, we have cried, we have wondered, and we have worshipped. We do not know exactly why this happened other than it is yet another horrible consequence of living in a world that is fallen and separated from God. As with all tragedy, we may ask why God allowed this to happen? The answer is not satisfying, but simply stated is; we cannot know or understand the working of God. Yet while we do not comprehend the why’s of God, we do know the where of God. We know that God is present with us, now, in our loss, sadness, anger and grief. As God loves each of us more than one can comprehend, God therefore grieves more than anyone grieves or can even imagine. May God bless us, and may we feel God’s love and presence as we continue to lift up others in prayer. May God bless and comfort those working and risking their own lives in the search for survivors. And, may God be with, and somehow change, those who organized the terror. May the cycle of violence and hate be broken, and may our response as individuals and a nation be in accord with God’s Word, with the Gospel of Jesus Christ. This entry was posted in Faith Shots, Scattershooting and tagged 9/11, faith, fear, god, response, shock, terror, World trade center. Bookmark the permalink.